FEW cricketers have ever had the impact ‘Tiger’ Pataudi did and it could be argued he set the standard for a very particular type of player that has never really been equalled. First he was a prince, and inherited a title – the Nawab of Pataudi; he married an iconic film star, Sharmila Tagore; became one of India’s youngest ever captains (just 21), leading them with great distinction, style and poise. He died rather suddenly in September 2011, aged just 70 and left a huge void in Indian cricketing annals. But for a car accident in which he practically lost an eye, he might well have become a batting great, vying for commentators’ superlatives with Sachin Tendulkar or Don Bradman – he really was that good. Even with one eye, his Test average was almost 35. Don’t take our word for it – you can learn all this yourself from a really excellently put together book, edited by Suresh Menon and with a foreword from Sharmila herself. Pataudi, Nawab of Cricket, is a sumptuous feast for any fan of Indian cricketing nostalgia and there is much for the general enthusiast, as well as the historians and students of the game. It is packed with reminiscences, anecdotes and humour from the time Tiger went to school at Winchester, graduated from Oxford University and stepped much more tellingly and suddenly into the public spotlight as India’s cricket captain. That he handled it such grace left an indelible impression on teammates, journalists, opponents and all those who love the game. This is celebrated in the book with contributions from cricketers, Farokh Engineer, Mike Brearley, Sunil Gavaskar, Rahul Dravid and Ian Chappell, as well as actor Naseeruddin Shah, and other eminent figures. 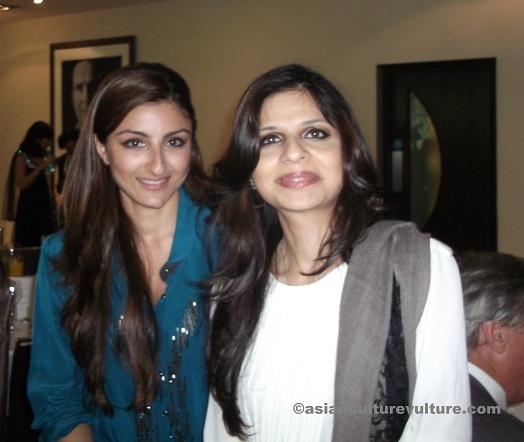 Perhaps the most affecting in the book are from Tiger’s two daughters, Saba Ali Khan and Soha Ali Khan. We learn about the man of few words, but the father who has a big heart and a deep soul. Soha, an actor who has appeared in many independent productions, read her own contribution at a lunch to launch the book in the UK in June. Fittingly, it was at Lord’s and made quite an impact. She lamented his early departure but said her father had taught her and the family how to approach adversity and come out the other side. Constantly questioned about that car accident and the damage it did to his eyes and his career, the Nawab was not one for self-pity or sympathy, describing the affair simply as, ‘a bit of bad luck’ and so too now has Soha and her family come to understand their terrible loss. *Pataudi, Nawab of Cricket, Harper Sport. Indian cricket – unending tamasha (fun)?